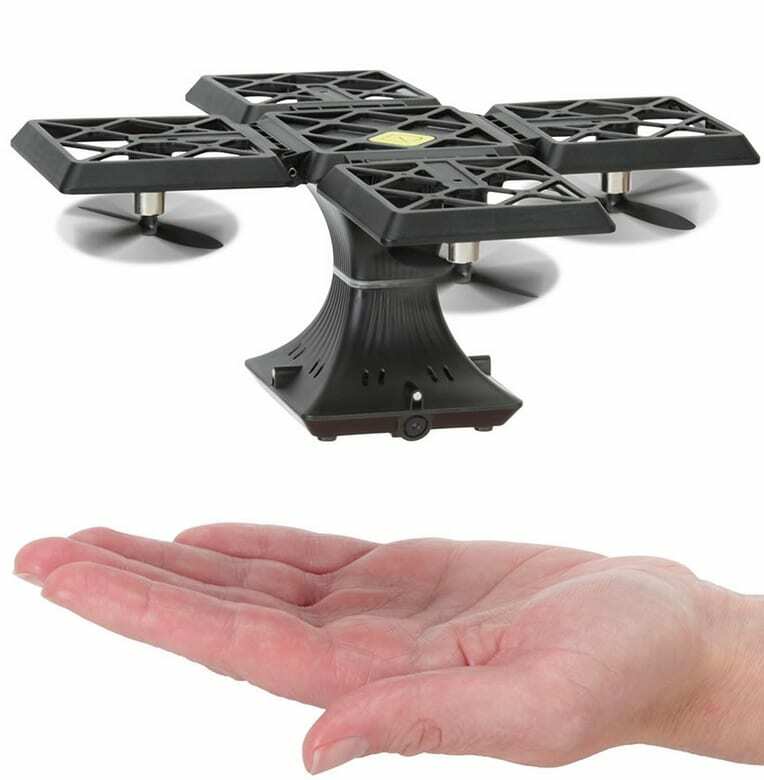 This is the live video drone that folds down to a 7″ cube for quick and simple portability in a tote, backpack, or pocket. When unfolded, its six-axis gyro stabilization keeps the drone level, enabling its built-in 2 MP camera to snap pictures at high definition 1280 x 720 pixel resolution and record 720p HD video using a free iOS/Android app. The dual throttle remote operates forward/backward, up/down, and left/right movement, as well as advanced aerial acrobatics such as banked turns, barrel rolls, and figure eights from up to 164′ away. A full charge via the included USB cable provides up to six minutes of flight time; remote requires two AA batteries. Includes phone clip and replacement propellers.